Have you ever noticed a slinky or a spring waving back and forth, just like shown below. This type of motion in which particles move along the direction of the wave back and forth is a longitudinal wave. Longitudinal waves are the waves in which the particles of the medium propagates along the direction of the motion. Simply, particles travel along the direction of the motion or a wave. They are composed of compression(when particles/wave move close to each other ) and rarefaction ( when particles/wave move away). They require a medium to travel. 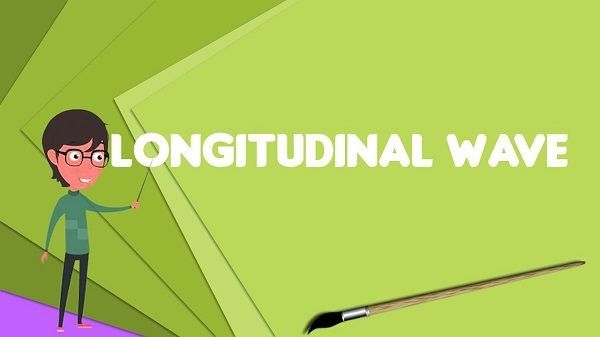 Let’s explore the examples of Longitudinal wave in our daily life. Sound waves are a significant example of a longitudinal wave. When a speaker speaks some words in front of the microphone, he/she hit the air thousands of time per second at different frequencies. The particles travel along the air into the mic to produce sound. When we clap while singing a birthday song or on any other celebrations, do you know, what makes our hand produce the sound of a clap. When we clap, we compress the air particles between our hands for a part of a second which helps to produce the sound of a clap we are familiar with. All of us are familiar with the sound of the drum, and most of us have also tried hitting the drum in different beats. When we hit the drum with the mallet, drum head vibrates and produce soundwaves. The soundwaves are generated because the drum head moves outward and inward, making air particles to move inward and outward (vibrate). People living in coastal areas are mostly scared of the sea waves like Tsunamis. Most people think that sea waves are a transverse wave as they go up and down. However, sea waves including Tsunami are the example of both transverse and longitudinal wave. When the waves reach the shore or smaller area, they became smaller and thinner, and water particles move parallel to the wave, hence making it a longitudinal wave. We have always heard that animals like dogs can sense the earthquake waves much before then humans. These animals can sense the seismic P wave which is still not on the surface of the earth. Even human can feel a little bump and rattle of these waves, but they are mostly unnoticeable to us. The P wave is the fastest and travels around the solid and liquid and pull and push them back and forth just like sound waves push and pull the air particles. These waves lead the surface wave which human can feel. Whenever it is raining heavily, and thunders are there, we always notice the window panels of our home vibrating; this happens because of sound waves. Lightning causes an increase in the air pressure and temperature which creates a shock wave of sound which we hear like a loud boom and cause our window panels to vibrate. Most of us have tried placing our hand in front of the big woofers. We can feel the air being pushed by the woofers. Also when woofers are playing loud music, we can see the cone of the woofers moving in and out. It’s pushing air and producing sound.